Several high-profile restaurants and bars are currently testing iBeacon technology to improve customer experience. From pushing offers to reducing queues, the possibilities of putting beacons to use in restaurants are endless. Today, let us create a campaign that rewards regular diners at a restaurant with a specialized dinner coupon. 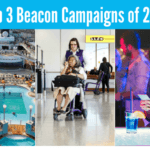 It’s extremely simple to set up this campaign using Beaconstac, our proximity marketing platform. Let’s set up a campaign that offers customers a 15% discount on their bill amount if their total order value (Online + dine-in) for the month is $500 or more. The discounted dine-in offer should be sent only to customers who’re in the proximity of the restaurant between 7 – 10 PM. Before we begin, the first thing to do is to purchase a couple of beacons. Long range beacons will work best for this campaign since we are targeting customers outside the restaurant. Once you have your beacons, add its details to the Beaconstac dashboard. Details of the beacon include UUID, major and minor numbers as shown in the screen below. You can also name the beacons for easy identification. For the purpose of this campaign, I’ve named the beacon as ‘Repeat Customers’ since the beacon is being used to reward them. Once you have added the beacon details, they are ready to be installed. For this campaign, I suggest placing them near the entrance of the restaurant since our goal is to target patrons passing by the restaurant. Next, we’ll create a card that users will see on their device. Cards are basically creatives that show up as a notification on the user’s mobile phone when certain conditions are met. Beaconstac offers several types of cards such as Summary, Photo, Media, etc. (We’ll get into the possibilities that it opens up in a subsequent post.) I’m creating a Summary card titled ‘15% off Bill Amount’ for this campaign. After this, all we have to do is create a rule for the beacon placed near the entrance so that it triggers the offer when a customer is in its proximity for 10 seconds or more. Next, we need to add a custom attribute which will determine which users will qualify to receive this offer. Custom attributes can be used to filter users based on criteria such as number of visits, previous purchase history, etc. Here we are creating two custom attributes called ‘Time of the day’ and ‘Purchase value’. Users who satisfy both these criteria will see the offer on their phone when they are in the proximity of the restaurant. After this, we’ll add the action to be triggered when the rule is true. Here, the action is to trigger the ‘15% OFF Bill Amount’ card we created. Besides this, it is also possible to direct people to a webpage or set up a custom action type. And we’re all set! A patron passing by the restaurant who meets both the criteria set in the campaign will see the following screen on their device. It may be helpful to include in your description the fact the the person passing by needs to have the restaurant’s app which is listening for the beacon uuid. Your article presents the solution as if everyone walking by that meets the criteria just automatically receives the offer. I find this a bit misleading. Well said Matt. I would add that the passerby needs to have their Bluetooth enabled otherwise it’s a pointless exercise.